This strategy ensures a systematic approach which goes in line with the belief that students learn more efficiently and effectively when the information they are presented with is organized and interrelated within a clear conceptual framework. The book has been designed to be covered in 34 weeks at the rate of one unit in three weeks. In other words, teachers should be able to cover one of the three parts of each unit in one week. This is possible if teachers adopt a reasonable pace, and if they opt for learner-centeredness as a teaching strategy. Selected tasks can be assigned as homework in order to devote more time to those activities that require the teacher ‘s guidance and monitoring of the students’ learning processes. Two guiding principles of VISA to the world are variety and flexibility. These features are very important because the mixed ability is and will for some time characterize the Common Core classes. This is dictated by the gradual introduction of English in lower secondary school. When they reach the Common Core, some of the students have had no contact with English whatsoever while others have been exposed to English programmes either in lower secondary school or in private language institutions. This situation, therefore, requires the design of a textbook with a variety of materials that will make it possible for the teacher to deal with different proficiency levels. 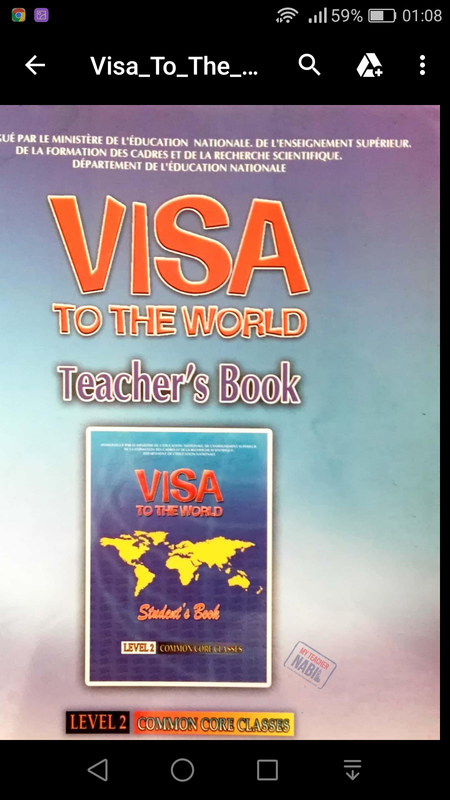 VISA to the world is organized in such a way that the teachers are able to choose to follow the materials as they are sequenced, or adapt them to the learners‘ needs and to the constraints of the teaching situation. This flexibility to use the book is particularly; recommended in the first units. The gap between complete beginners and false beginners is supposed to fade away as the students proceed through the subsequent units of the book. Thanks a bundle si Nabil for your precious help. May Allah grant u from His endless bounties. I have just tested it and it’s working fine. Try from another device and tell me please. 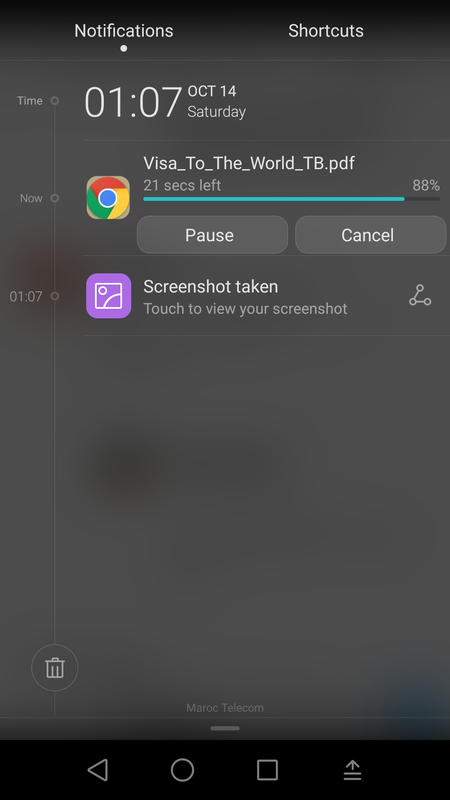 And that’s a screenshot of the file after I downloaded it. I hope I can find lesson plans ?? Thank you very much Mr. Nabil. You are doing a great job, so keep up the good work sir. Thanks should go to you for your encouraging words, Anonymous. Bro. I can’t access the links. Please can you upload the pdf-audios externally? i downloaded the, , just try .